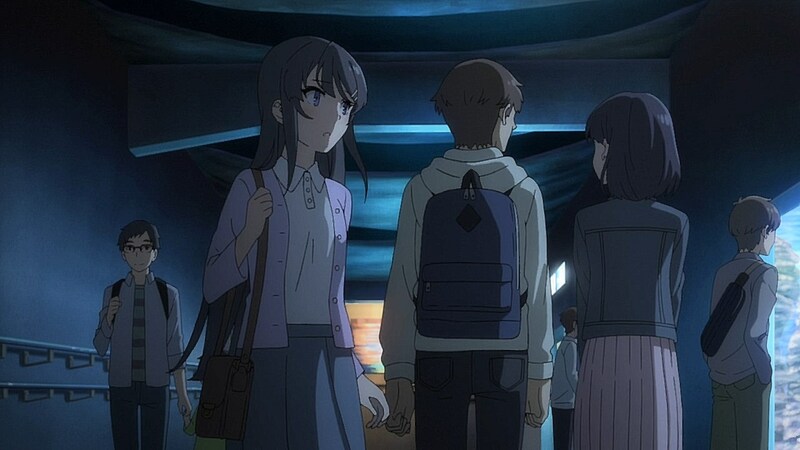 The first episode of Seishun Buta Yarou is an effective hook in providing just enough details to understand where the series is going, yet make the desire to see what happens next insatiable. 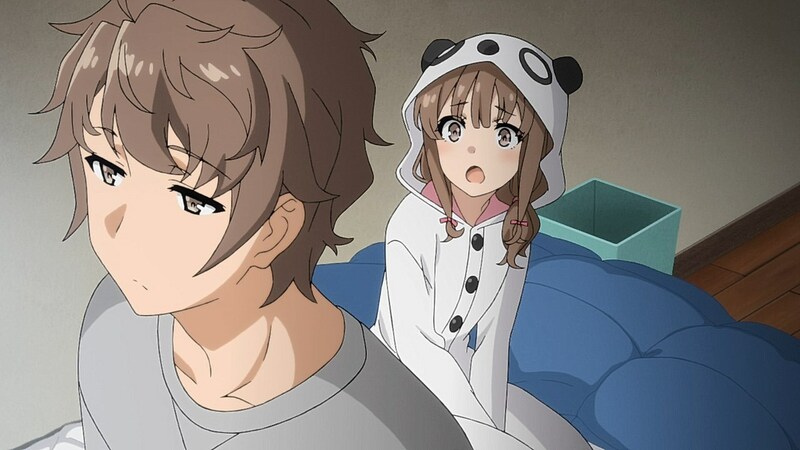 Sakuta and Mai work well with one another as our two leads while the abnormalities present in their universe with the influence that “Puberty Syndrome” has on its cast are intriguing and offer a mysterious, enigmatic atmosphere to the anime. 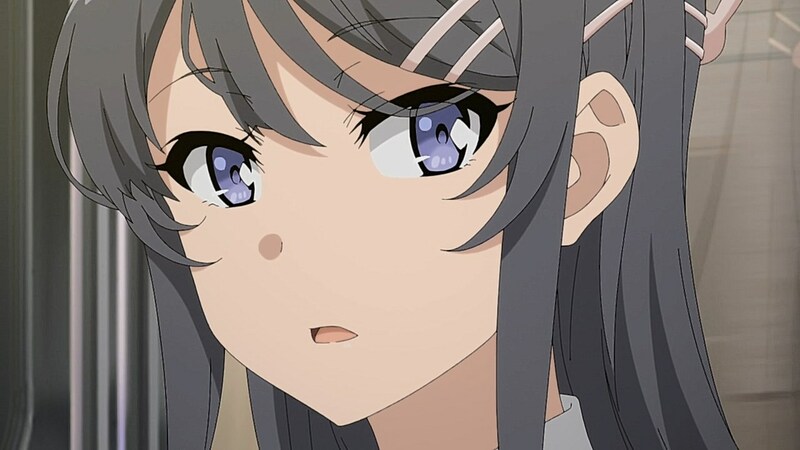 The story’s origin as a light novel are made apparent quickly with Sakuta’s narration diving into meaningful musings from the comfort that comes from boredom to the exhausting atmosphere that comes from everyone having their eyes on you. 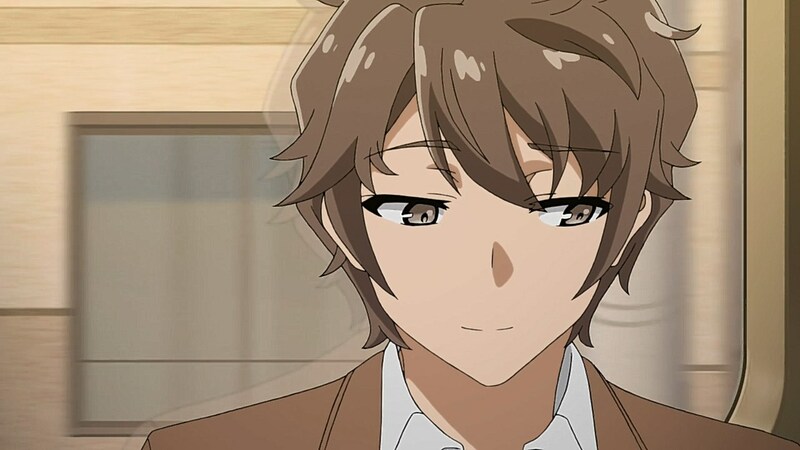 For Sakuta, this is because he was tied to an incident where three students were hospitalized, but despite being one of those students, he received a brunt of the blame. 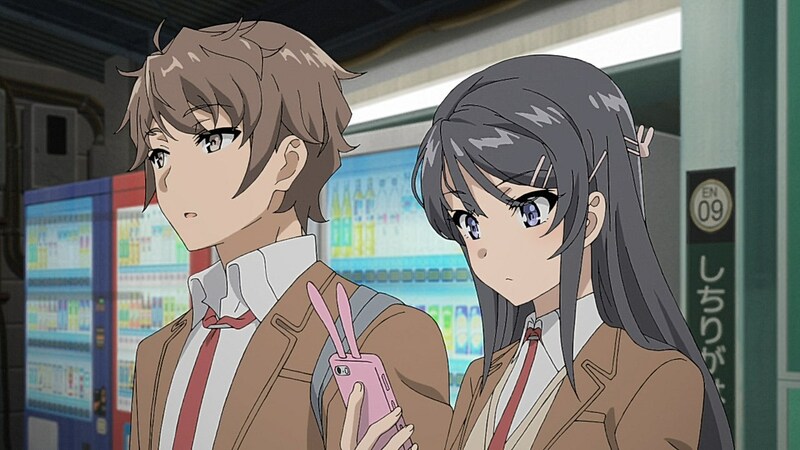 Sakuta himself is relatively sympathetic as his narration never gets into the realm of obnoxiousness and he empathizes quickly with Mai as someone who is also fed up with the attention she’s gathered. 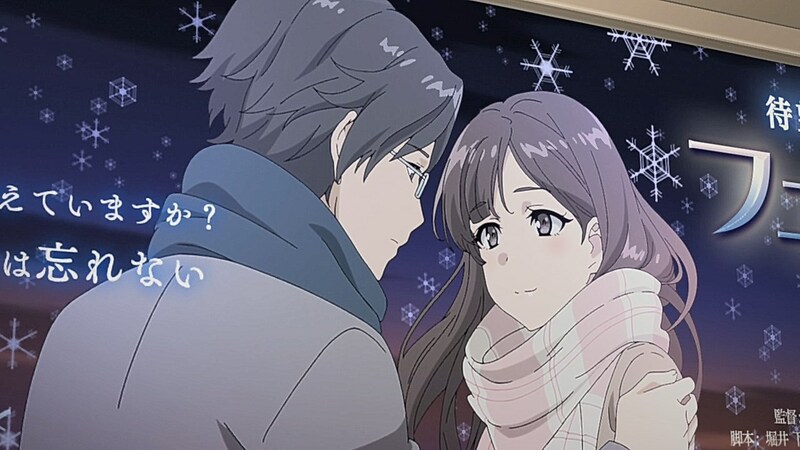 He falls under some of the leading man tropes with a lingering fascination on a mysterious loner girl named Shoko and having a little sister Kaede that dotes on him, but it’s defined clearly that he has his own reasons and motivations for being his own person to the point where he doesn’t have a reason to have a back-and-forth with Kamisato when she doesn’t want him anywhere near her boyfriend out of fear of getting lumped into Sakuta’s ostracization. 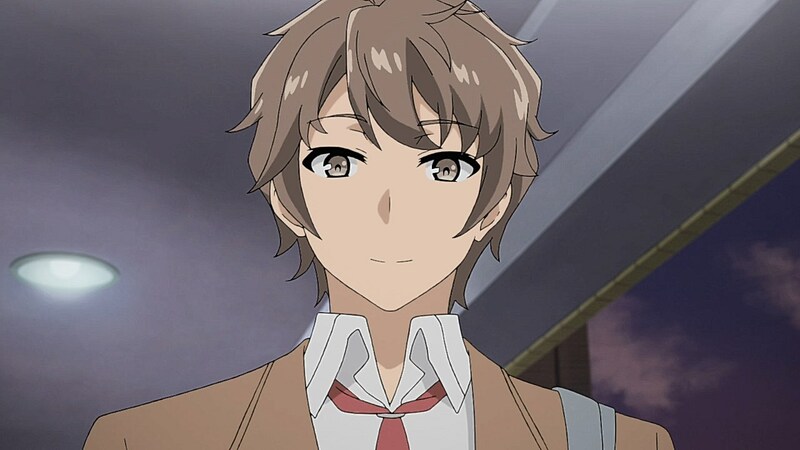 While Sakuta does espouse his musings to reflect on the state of being that is tied into his and Mai’s struggles, he also exists as our passenger through the Puberty Syndrome rumor. 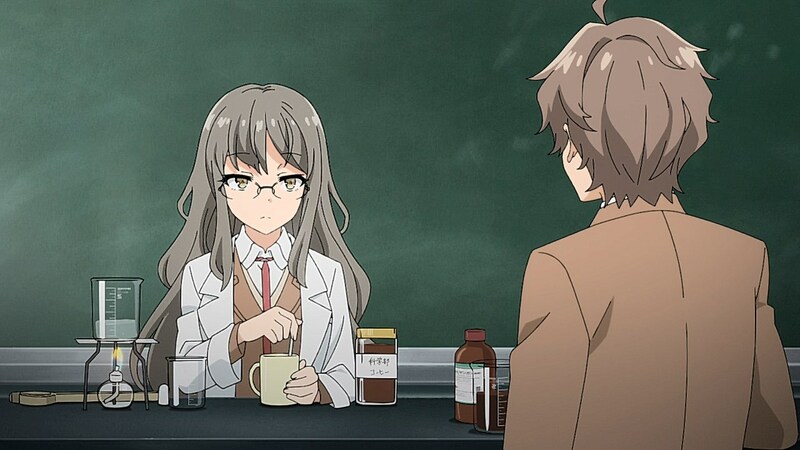 At this point in time, it’s only theoretical for the average person and the scientifically astute Futaba denies its existence as anything beyond a rumor, but it is something that Sakuta and other high schoolers are attributing to abnormal incidents that happen during adolescence. 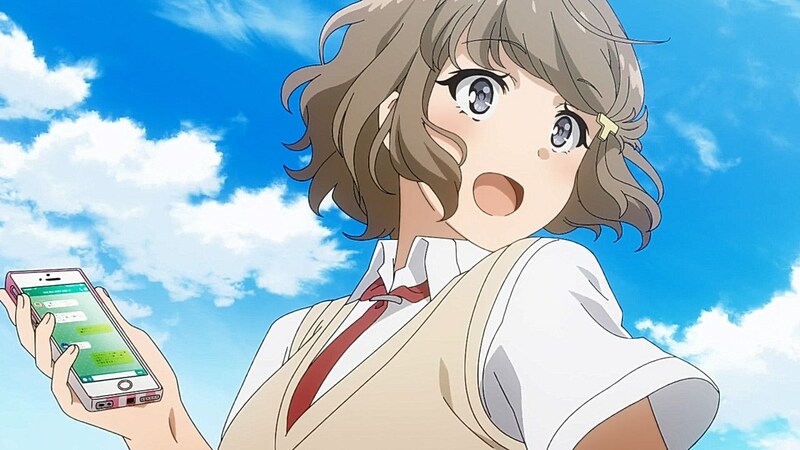 Sakuta has his own deeply personal connection with the Puberty Syndrome as Kaede had been affected by an affliction when the bullying she received from her classmates resulted in her getting cuts and bruises from thin air. As soon as she shut herself off from social media and attending classes, her symptoms started to stop. 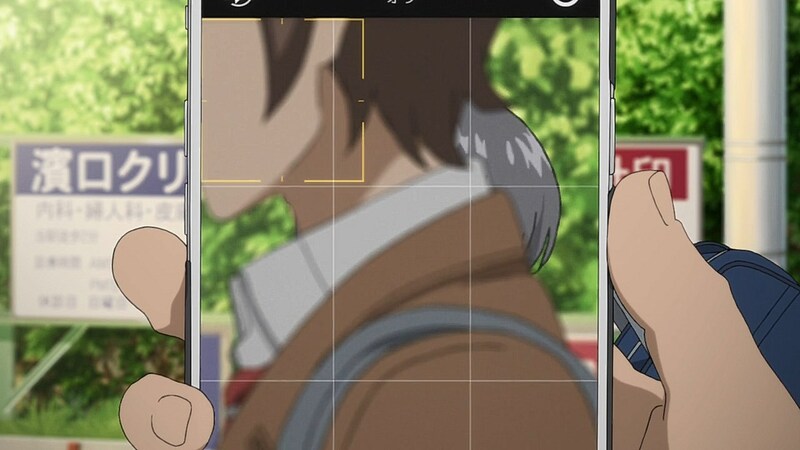 Similarly, Sakuta received a deep scar at random from the syndrome after the incident that left him and others hospitalized, and put a quick stop to it after throwing away his smartphone. 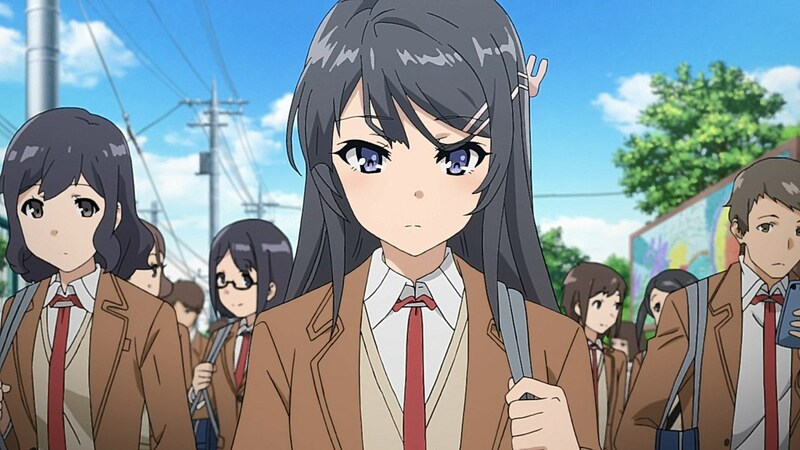 The latest person afflicted by the syndrome in Sakuta’s life is Sakurajima Mai, a former child star who recently retired to attend high school. 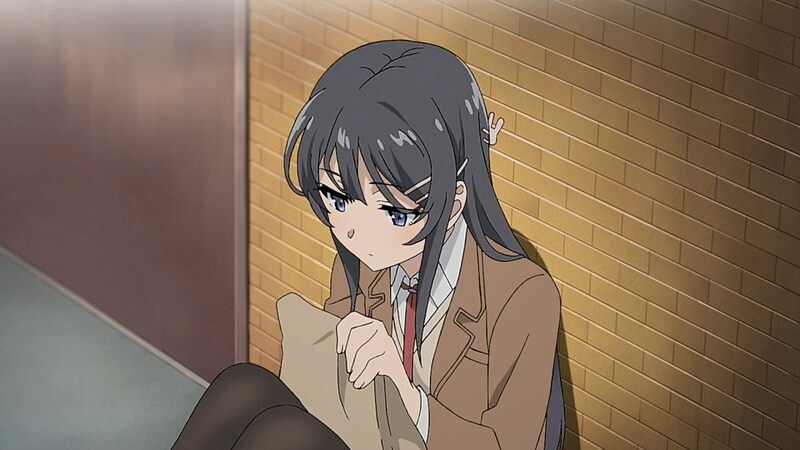 However, at some point in this transition, there are periods of time where she is unseen by anyone else but Sakuta, reflecting on both her desire to be left alone after years in the limelight gave her unwanted attention from the public and the malicious rumors that are spread about her on the internet. 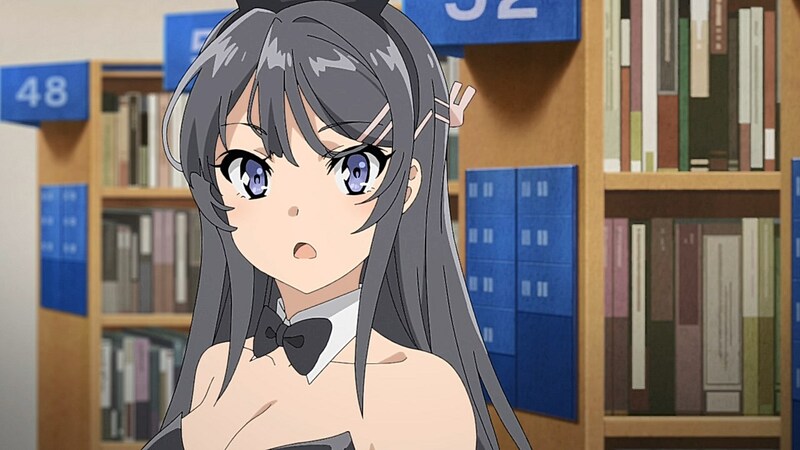 By the halfway point, it’s established that the purpose of dressing up as a bunny girl was to put her exposure to the test as no one would just ignore her if she put on something as scandalous as a bunny outfit. 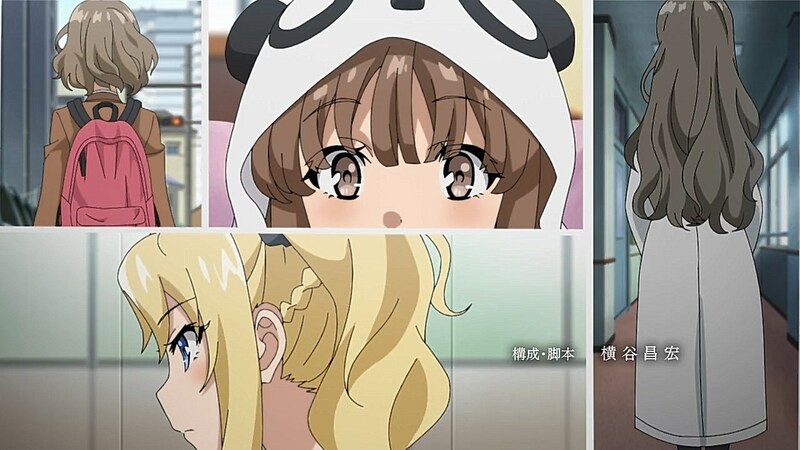 Much like that one ringtone that reaches an octave that adult ears are unable to hear, Puberty Syndrome seems to have a hold on the students of Minegahara High School and beyond as Sakuta comes to the general understanding of the rumors being brought to life through the anomalies in their relationship with technology. The writing is on-point in fleshing out its lore, but it also gives depth to its leading cast as well. 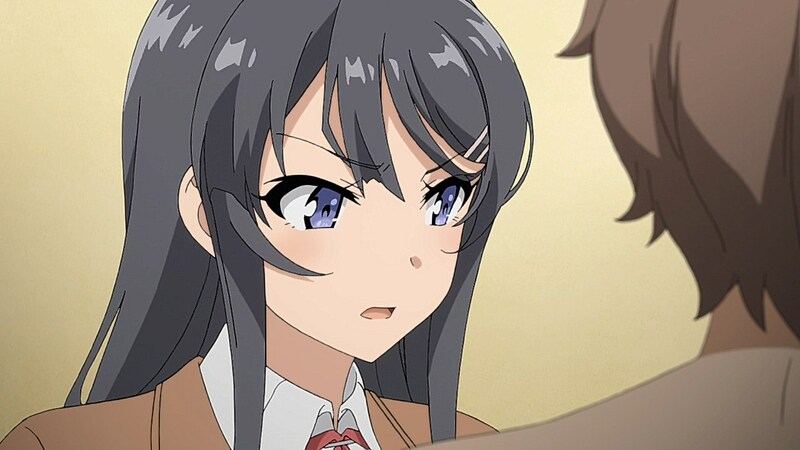 Mai and Sakuta particularly have great chemistry with how they are able to reach an understanding about how one another feels, but also have back-and-forth moments that are cheeky and amusing. 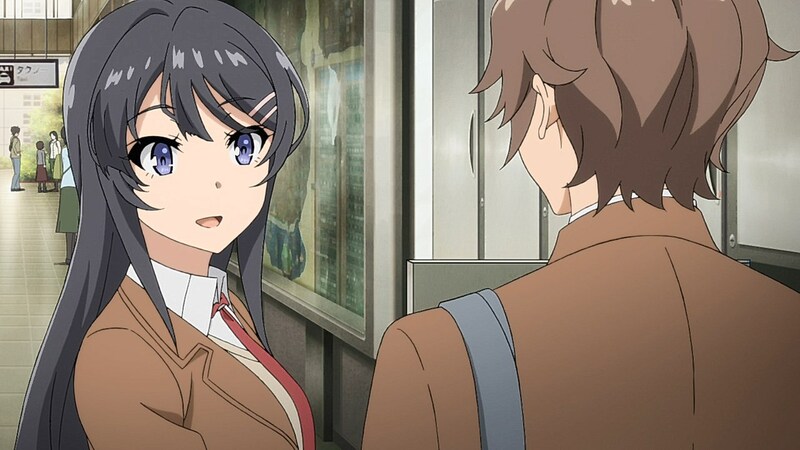 Sakuta has respect for Mai and how she feels about both the fame and the syndrome, but is also quick enough with responses like expressing enthusiasm in getting stepped on or showing a little too much pleasure in getting his scars touched. 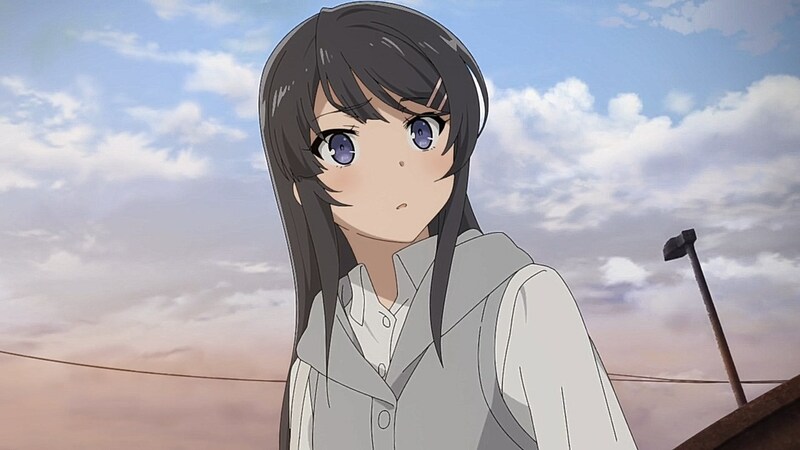 Similarly, Mai understands and respects Sakuta for taking her seriously, but won’t hesitate to painfully pinch these scars or call him out directly for acting too fond of her. 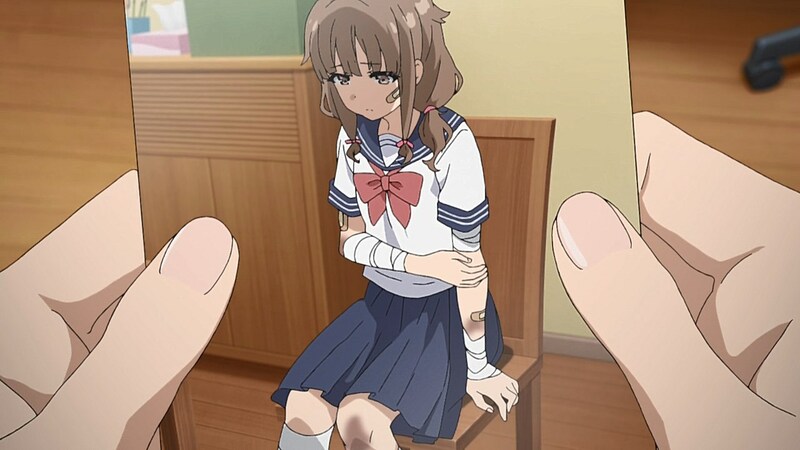 The end of the episode leaves off on a crossroads of sorts as Sakuta made a less favorable impression on her after mentioning the expression on her face when she saw a movie poster, yet the syndrome forces her hand in having to depend on Sakuta to help her out along the way while she finds a way to navigate or at least control her ability to disappear. 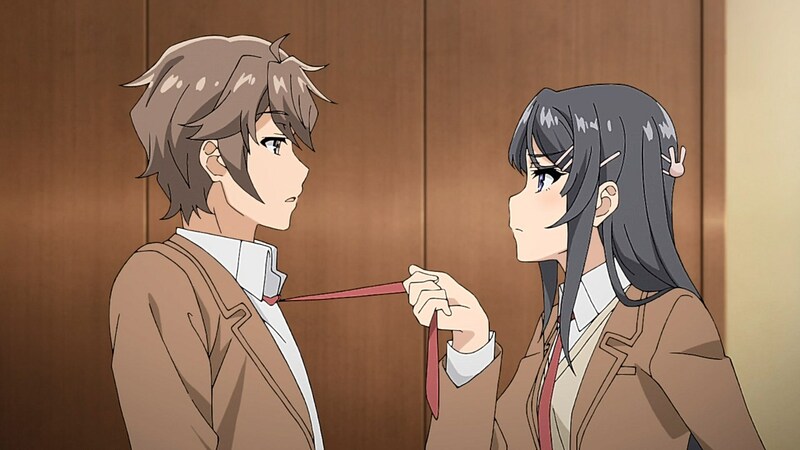 Seishun Buta Yarou is a fascinating anime that lives up to its hype as a school life series that explores the abnormalities that surround Sakuta and Mai as they look for answers and learn about each other in the process. While the artwork isn’t too expressive, it has similarities to the beginning of Bakemonogatari with its focuses on Araragi’s bond with Senjougahara and how he handles the apparitions that haunt the cast. 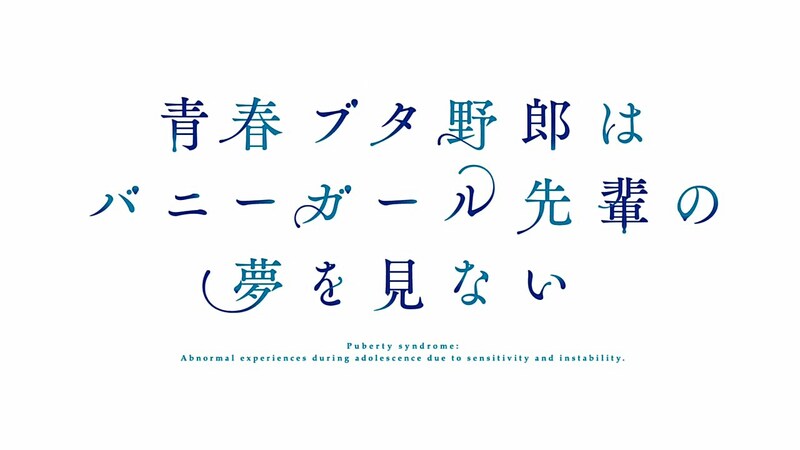 The Puberty Syndrome may have been presented as an abstract concept that only has vague ties to adolescence, technology, and the unseen, but it has shown a lot of intrigue in how it operates, who else is afflicted, and how Sakuta and Mai will be able to solve their dilemmas within their personal lives and their struggles with the syndrome. 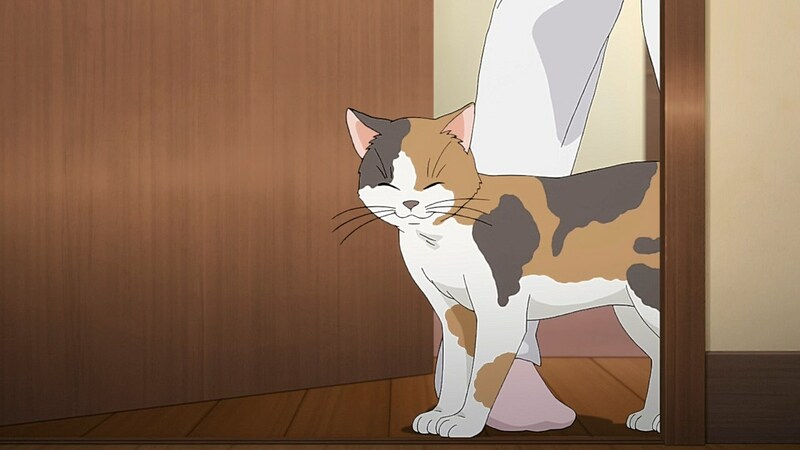 The first episode left a positive first impression with the machinations it presents to the audience, but it’ll be fascinating to see where the series takes its concept from here. connected to her and seems immune to becoming invisible. Any thoughts about the little sister? 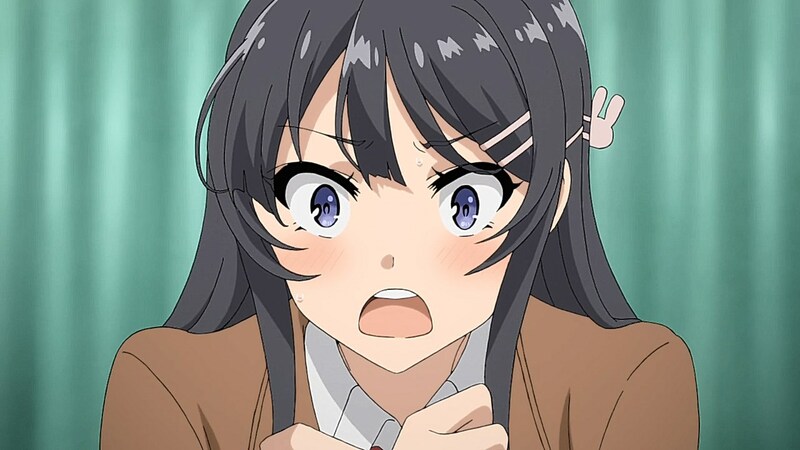 To be honest, I think in all the anime I have seen, an “affectionate female family member or childhood friend,” is NEVER the main love interest. 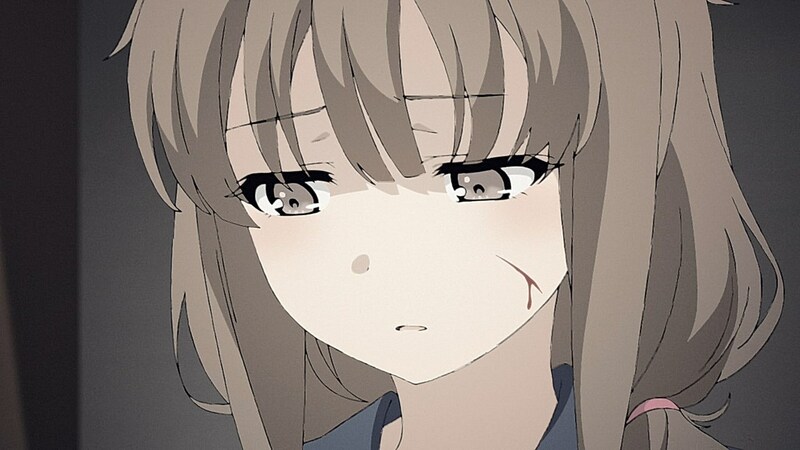 Which is sad, I have yet to see an anime where it is the opposite. There was a time when a friend of mine got bored of the “childhood friend” getting the guy. Can’t really recall if any of them were affectionate though. 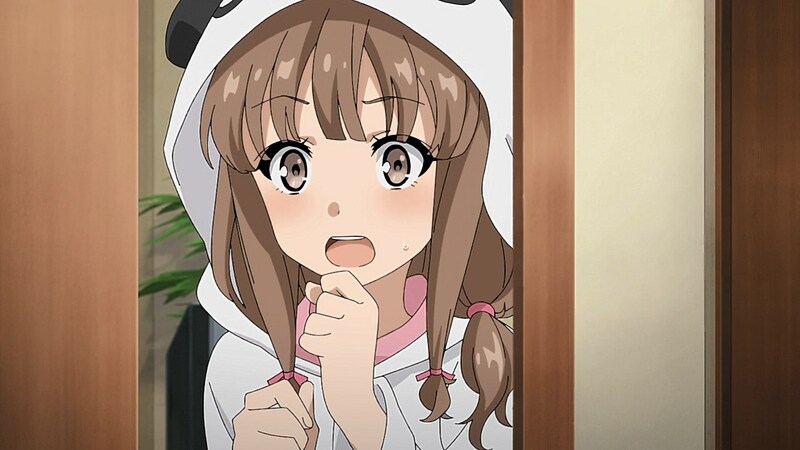 When it comes to family members, I think you have to look at harem anime. I’m sure there are a few where one of the two main girls is a family member. 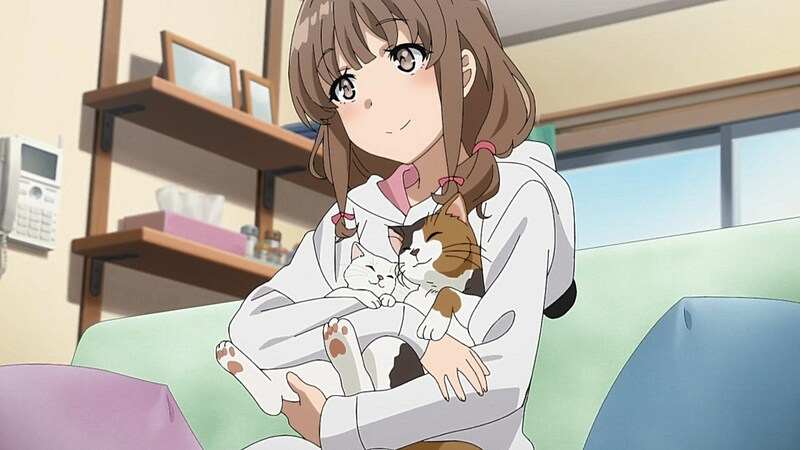 After quick scan of my image folder (and some rummaging to have a quick look), I think a good example would be Akane-iro ni Somaru Saka. 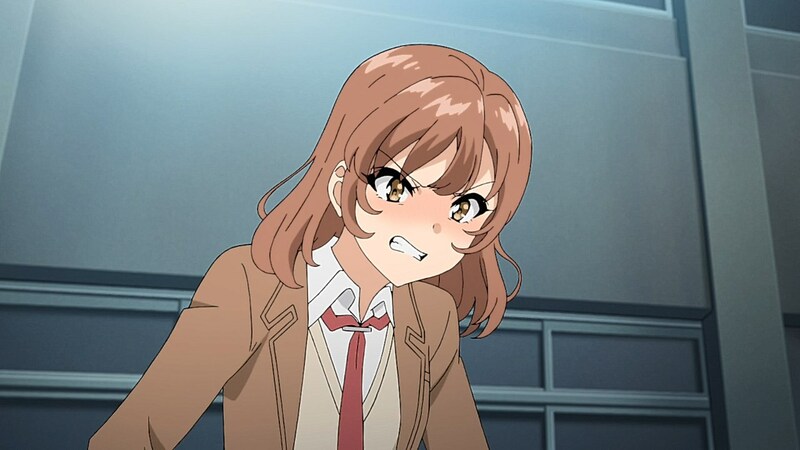 This show seems to be a literal interpretation of “words hurt” applied to the cliquish Nature of middle/high school life. Everyone seems to be directly affected by what others say about them – with “Puberty Syndrome” being a direct reflection of what’s being said about them/how they feel. 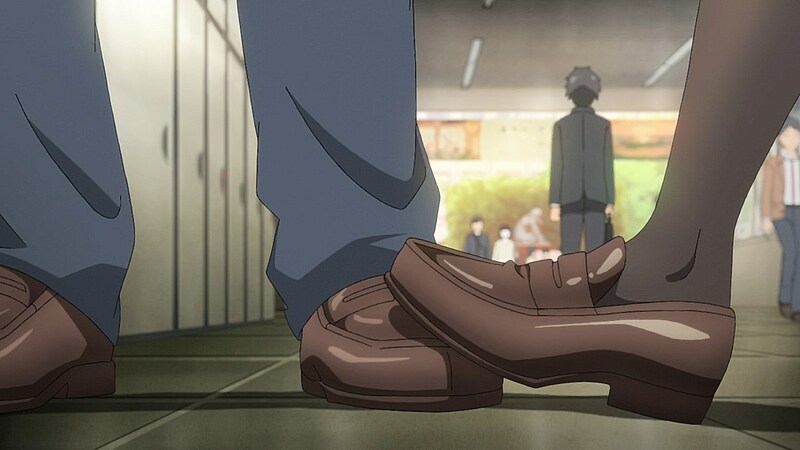 For Sakuta, this is because he was tied to an incident where three students were hospitalized, but despite being one of those students, he received a brunt of the blame. Hidden for those who haven’t watched yet. I got the impression from the bedroom scene that this was more the story that his classmates brewed up around his hospitalization than an actual multiple injury event. Makes you wonder what exactly happened to him/was done or said that would induce three spontaneous heavy wounds to the chest, doesn’t it? That point and the circumstance behind the other Puberty Syndrome victims raises an interesting question on what role students had in the incident. 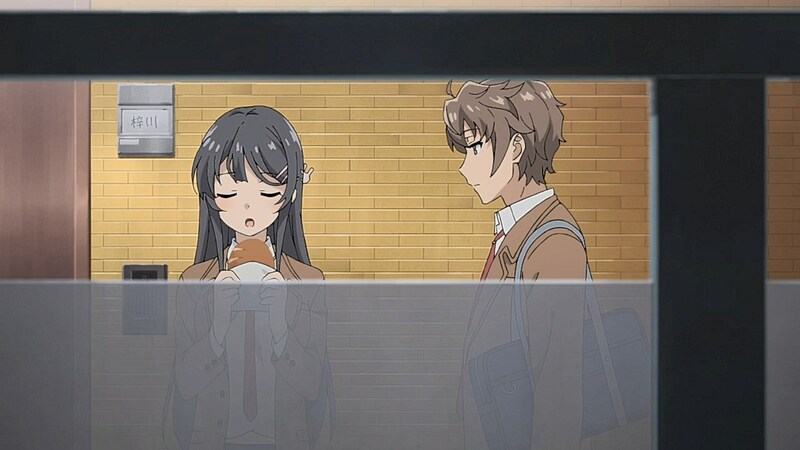 Where if students were bothered by him or had certain ideas of him, their opinions of him could’ve opened the doors for both the incident and the public option of Sakuta afterwards. The Syndrome could be behind both how he was attacked on that day as well as why reporters and students alike joined in shunning him in particular based on an intuitive force behind the Syndrome empowering their words and thoughts against him. 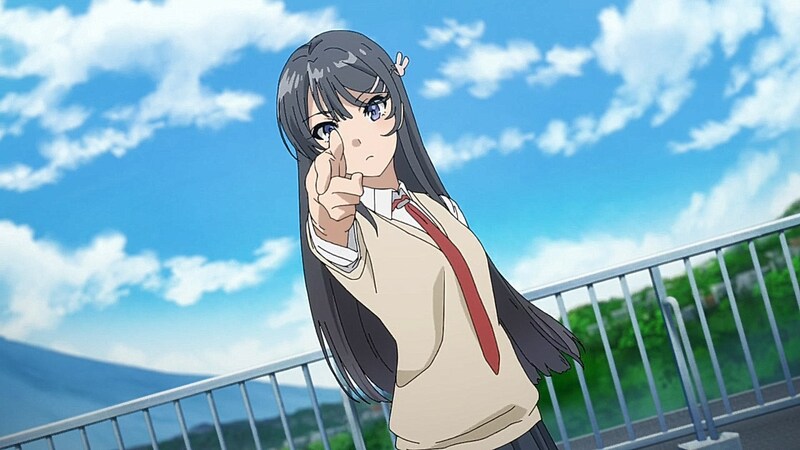 Yup, although it’s also worth remembering that it appears “puberty syndrome” can be self-inflicted – as it seems to be in Mai’s case of wanting to get “out of the spotlight” going a bit further than expected. 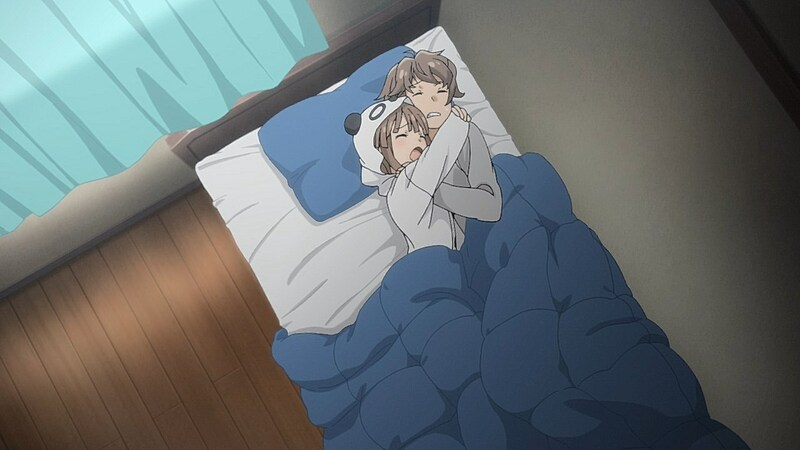 Sakuta and Mai’s chemistry is my new instant love for this anime already. Enough said. 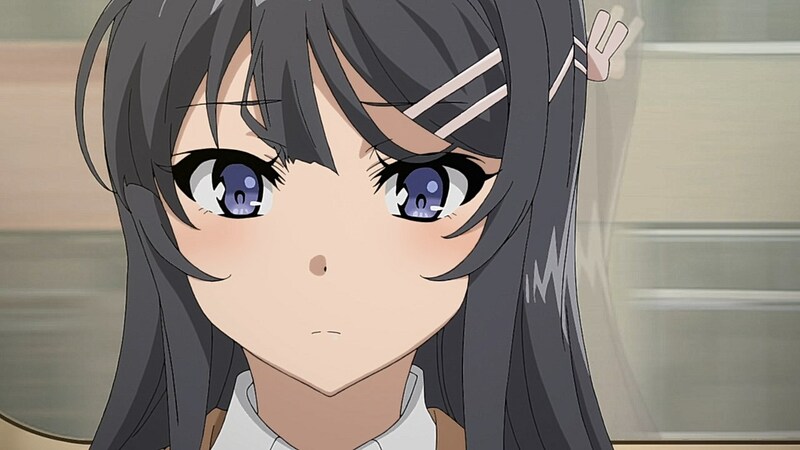 Sort of like a cross between the Monogatari series and… Haruhi maybe? (if anyone else can remember that far back) In terms of vibe. 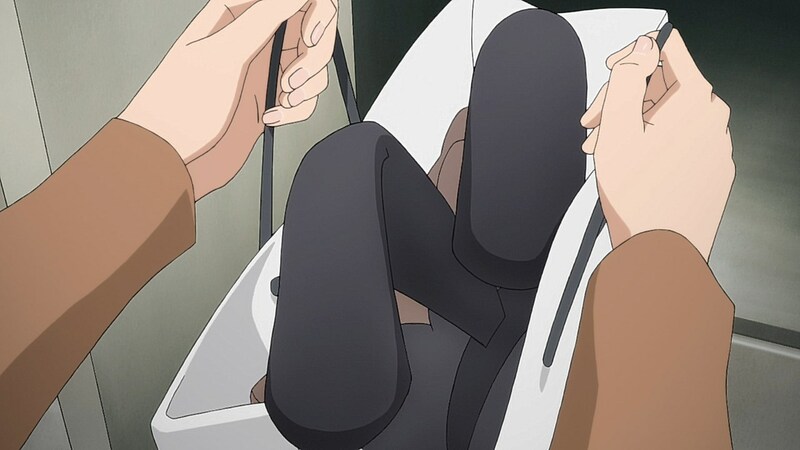 The serious tone also kind of reminded me of Kokoro Connect. The dialogue is good. Yeah, as expected of a good writer. Hopefully they keep any bad drama to a minimum. The metaphor feels paper-thin at this point. Gone horribly right (or wrong, in the case of Kaede) with a social/mystery flavor + characters that feel natural. This gave me a really good feeling for a first episode, and I find myself hooked right away. Insaaaaanely fast progression with the story (the first arc in the manga took 21 chapters total, and we finished chapter 7 in the first anime episode). 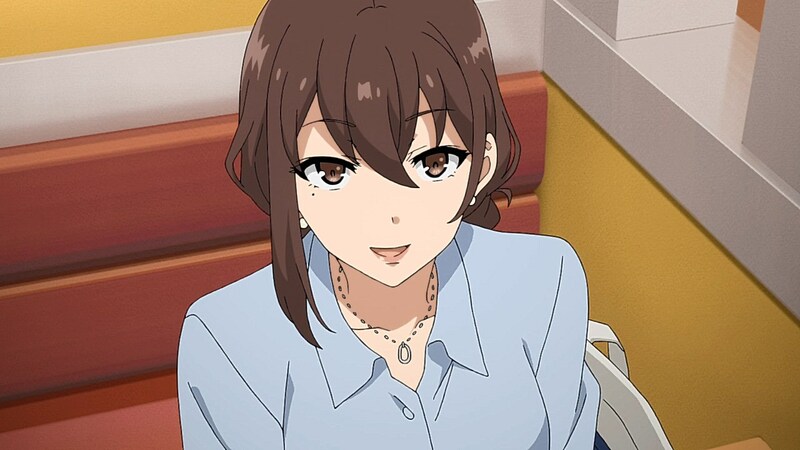 Which on one hand is welcome, but there is one thing I regret: They need to skip a lot of the great banter between Sakuta and Mai, which in my opinion is one of the show’s strongest points. 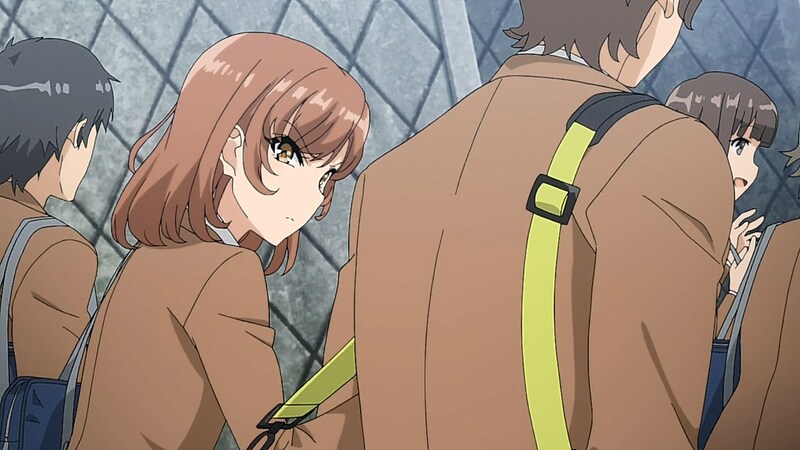 Mai: Can you scoot over away from me? You’re too close! 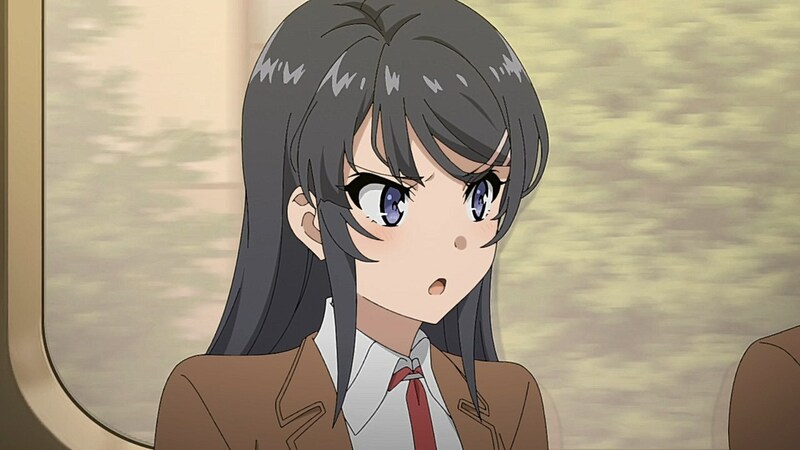 Mai: I feel like I’ll get pregnant if you don’t! 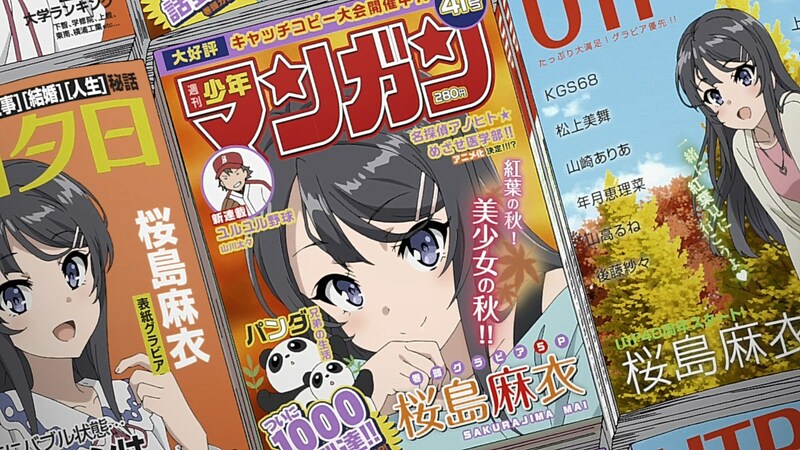 Sakuta: I wonder what we should name the baby. I really do miss these little nuggets of gold, since they help flesh out the characters and their relationship. Let’s hope that they don’t skip next episode’s grocery shopping antics! That exchange is hilarious! Too bad they cut that one out. Unfortunately, there’s only a few chapters of the LN translated, and the effort was abandoned. 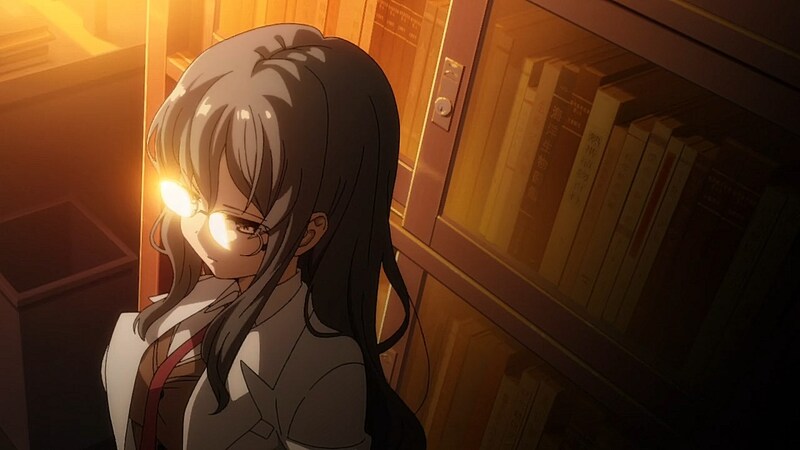 The first LN got a proper manga though (21 chapters, completed), and there is one teaser chapter for the next arc out, but you shouldn’t read it yet, because it is a little bit spoilerish. Man, this and Zombieland totally blew my expectations out of the water. 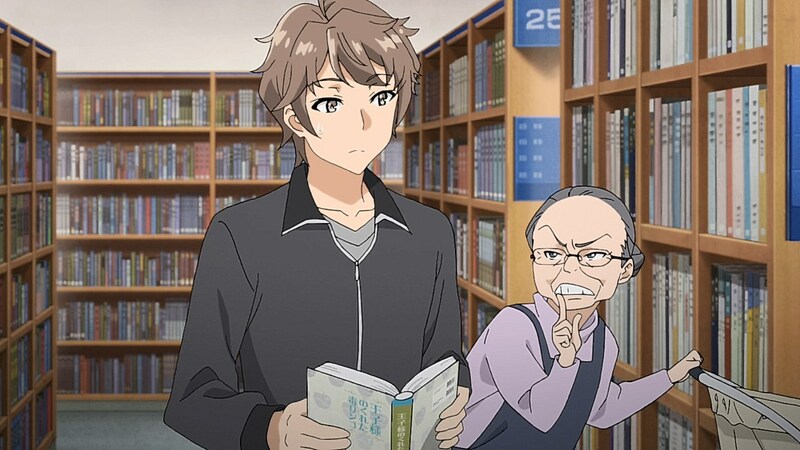 - Why is Sakuta the only guy(?) who can see Mai? - And I wonder if “Puberty/Adolescence Syndrome” is actually a gestalt of active psychic energy formed by the negative emotions (or perhaps collective cognition?) of people towards certain individuals? 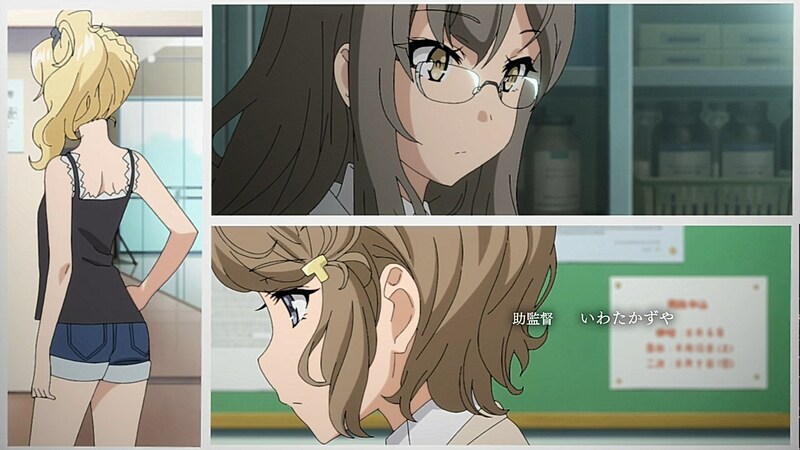 (The “certain individuals” in this case being Sakuta, Kaede, and Mai.) Either that or it’s a commentary on the dark side of social media and how it affects individuals. 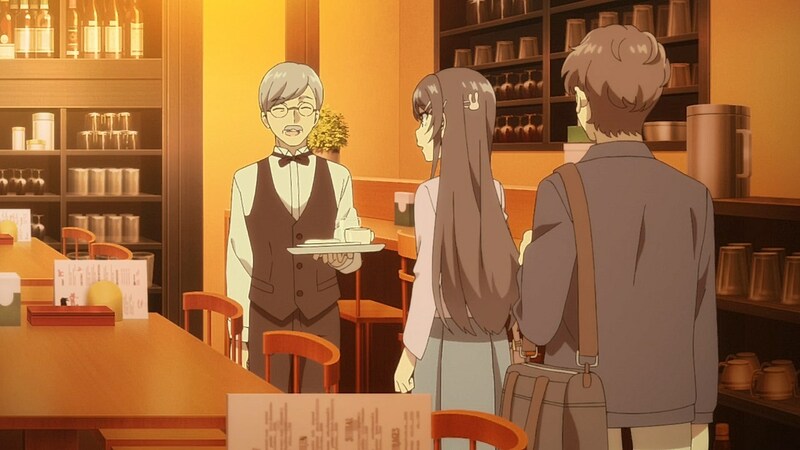 Well, despite the fanservice-y start, it seems AoButa has the potential to be a heartwarming–albeit irregular(? )–love story. 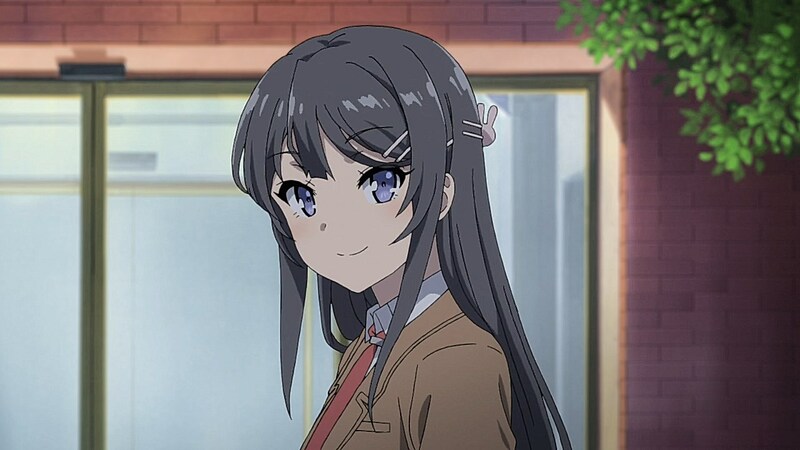 I already enjoyed the banter between Sakuta and Mai, though I hope whatever…*ahem*…sexual tension they have won’t go unresolved for too long… Also, I still hope to see Mai in that bunny outfit again near the end of the season, as a “book ends” kind of thing. 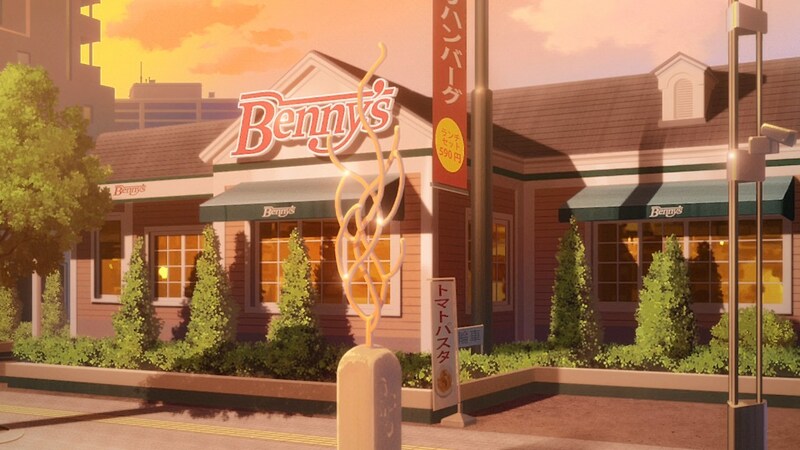 Came for the bunnygirl. 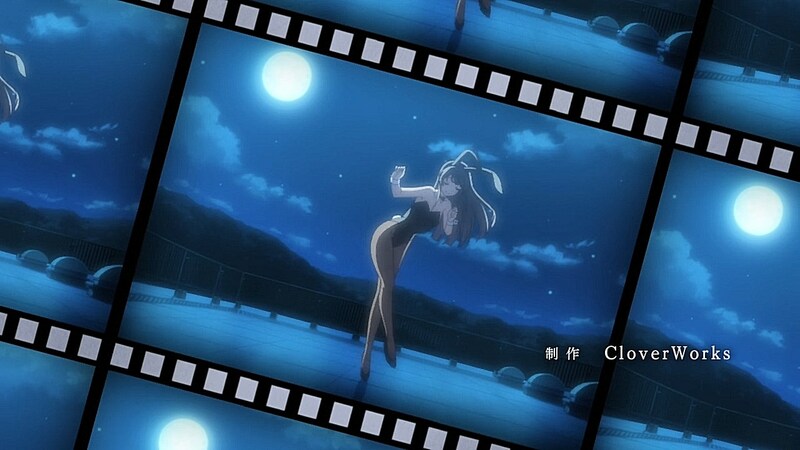 Stayed for the mystery…and the bunnygirl. 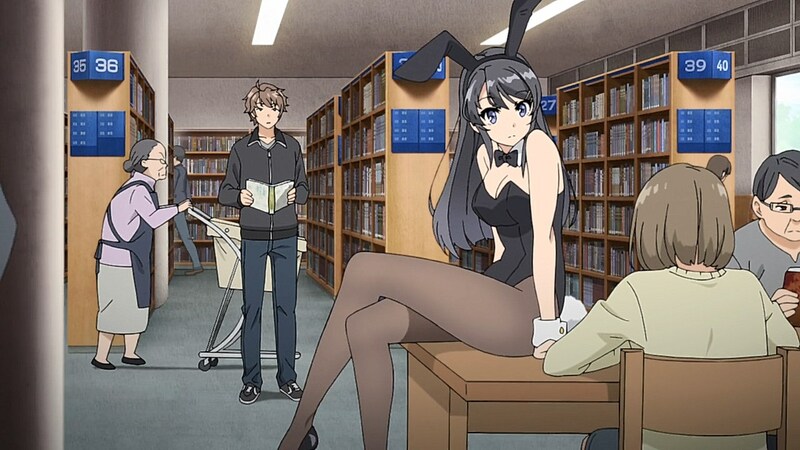 Are there any more anime or manga with bunny girls? Both in costume and as a fantasy waifu? 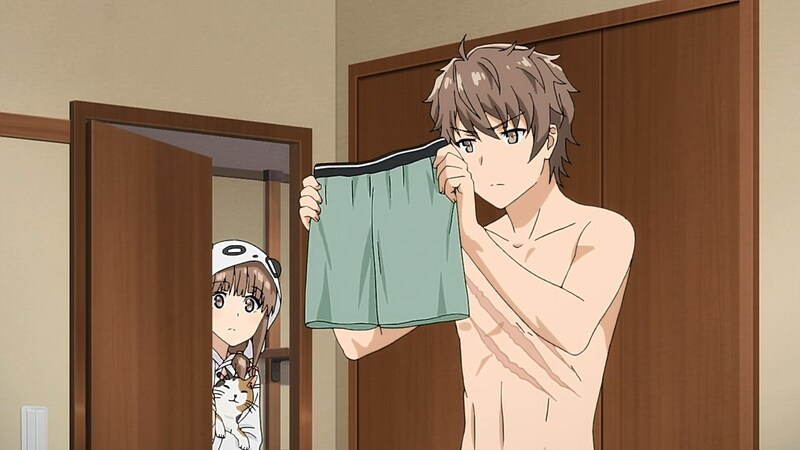 Go watch “Mondaiji-tachi ga Isekai kara Kurusou Desu yo?”, thank me later. After watching the entire summer series which I cluded young girls with body figures that a women at 25 can’t even match. 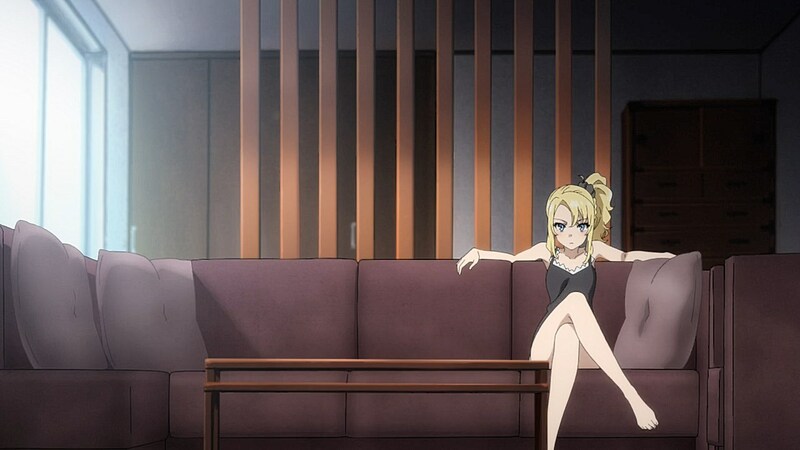 It is nic to see anime tone it down a little.